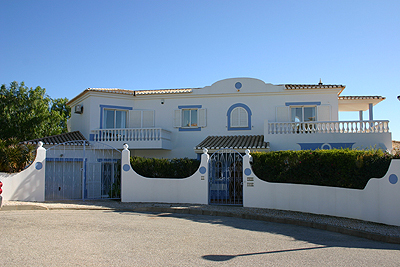 A well maintained property within walking distance of all the amenities, and, crucially, the beach, in Praia Da Luz on the Portuguese Algarve is for sale. The pretty property, which has three bedrooms, three bathrooms, reception room and a further family bathroom, is ideal for a second home close to the beach. Outside the property has a swimming pool and a large garden with plenty of shade. It comes fully furnished and the price includes a free Jeep. The asking price is €545,000, for further information please telephone Knight Frank on 0207 629 8171 or visit www.knightfrank.co.uk.